Supplier & Manufacturer of Pressure Regulating System. Our product range also comprises of Fire Fighting Accessories, Industrial Furnace and Gas Burner. Our organization is engaged in offering excellent quality Pressure Regulating System to the patrons. 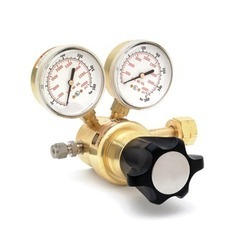 These regulators are widely used to regulate liquid & gas pressure. Further, we are offering these regulators in various diameters, models, configurations and other specifications to meet the exact requirements of patrons.